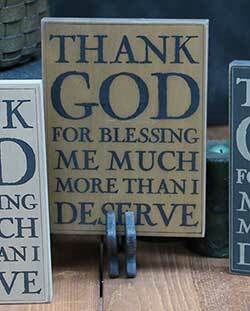 Faith Based signs and plaques from Our Backyard Studio, The Hearthside Collection, Primitives by Kathy, and lots more! This made-to-order sign features free-hand lettering, in the custom color of your choice! 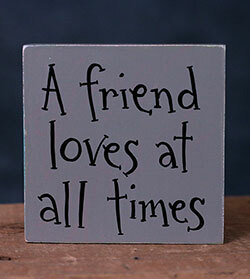 This one features a portion of scripture Proverbs 17:17: "A friend loves at all times." Designed by Barbara Lloyd, featuring distressed fonts and stamped textures. 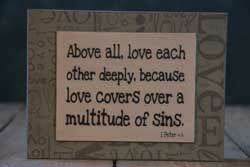 Reads: "Above all, love each other deeply, because love covers over a multitude of sins." 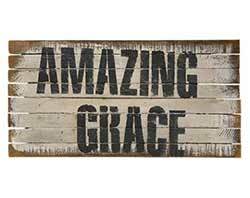 Make a celebratory statement of faith in your home with this rustic wood "Amazing Grace" wood sign, made of painted lathe wood strips in black and ivory. This made-to-order sign features free-hand lettering, in the custom color of your choice! 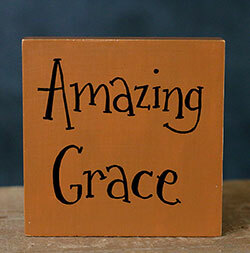 This one reads, simply: "Amazing Grace." 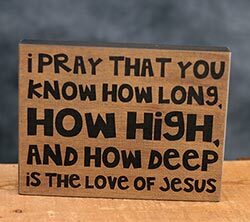 One of the most popular hymns of all time, and a reminder so badly needed in this world (especially these days!) 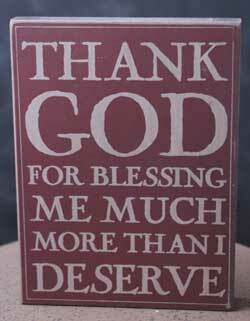 - To give each other grace, just as God so amazingly gives it to us! 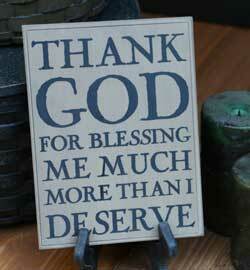 This rustic wood sign makes a great statement in a living room, entryway, or bedroom! 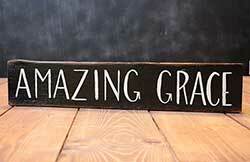 Custom painted in your choice of color, this Amazing Grace wood sign is perfect for your farmhouse style home! 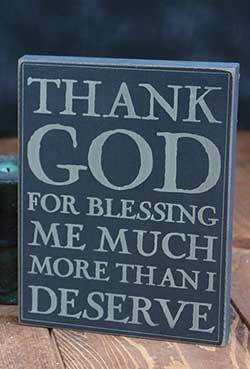 Perfect for a shelf, office desk, or wall space, this shelf sitter sign will give inspiration and encouragement, and makes a great gift! Faith, Family, Friends Sign with Stars, by Our Backyard Studio of Mill Creek, WA. 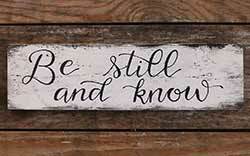 Make a statement in your home with what is most important to you with this hand painted rustic wood sign! A Barbara Lloyd design for The Hearthside Collection. Has a distressed look on a newspaper background. This made-to-order sign features free-hand lettering, in the custom color of your choice! 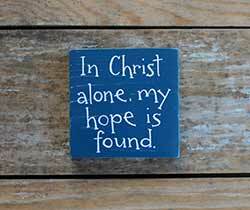 This one reads: "In Christ alone, my hope is found." 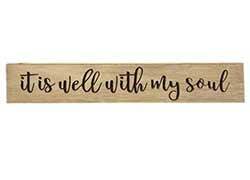 This rustic sign features a simple wood background and engraved typography reading: "It is well with my soul." 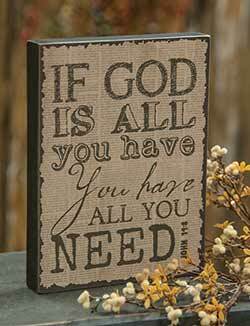 Great inspirational gift or wall decor! 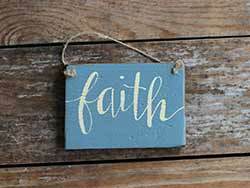 Add a peaceful sentiment of faith and a rustic decorative touch to any wall in your home with this hand lettered wood sign, custom painted in your choice of color! 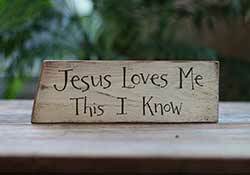 Jesus Loves Me Hand Lettered Sign, by Our Backyard Studio. 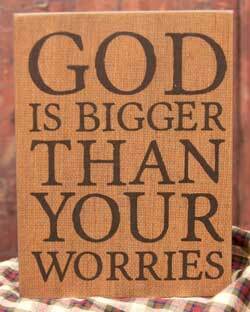 Hang this encouraging reminder in your living room, bedroom, or even a child's nursery! 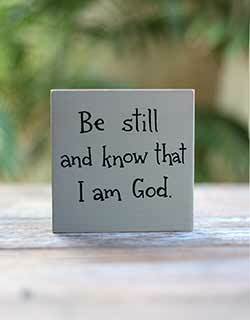 Perfect for a shelf, desk, or wall space, this Joy of the Lord shelf sitter sign makes a great inspirational, faith-based gift! Color options available. 4 x 4 inches. 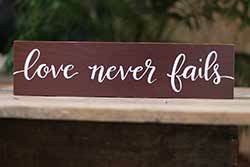 Great for a family photo wall, Valentine's Day or wedding decor, or an anniversary or housewarming gift, this hand lettered wood sign features a portion of the 1 Corinthians scripture: "Love never fails." 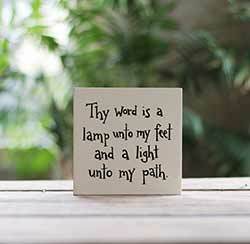 Perfect for a prayer room, or any cozy nook in your home that needs the encouraging reminder that no prayer is too small (or too big! 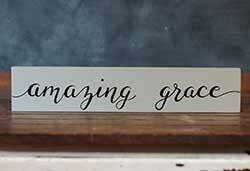 ), this wood sign features hand lettered calligraphy and rustic reclaimed wood. 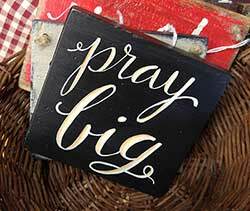 This hand painted Pray sign is perfectly sized for your desk, your quiet time space, or anywhere you want to add inspiration, reminder, or encouragement! 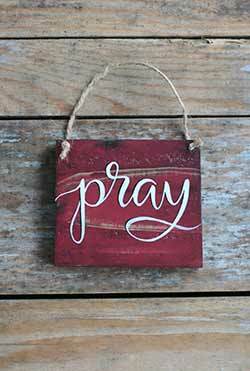 Perfect for a bedroom, office, or anywhere you need a reminder to turn to prayer, this hand painted sign features a pretty ruby red color and modern calligraphy lettering. Available in two sizes. 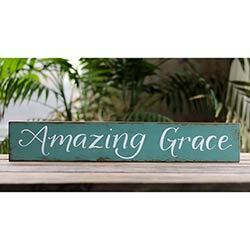 Makes a beautiful and meaningful gift, perfect for anyone that needs a little inspiration or encouragement. 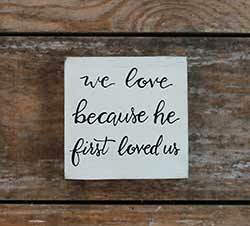 This hand painted wood shelf sitter makes a beautiful and meaningful gift, perfect for anyone that needs a little inspiration or encouragement!